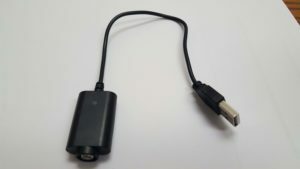 Would you be surprised if we told you it was a Vaping device? Doesn’t look like what you might think it would look like does it? Vaping and Waxing are on the rise at Prospect and all of our surrounding schools. Come and learn what Vaping and Waxing are on January 15th, Tuesday night in Room 30. General PTSA Meeting at 6:30pm, Parent Topic: What are Vaping and Waxing and how to identify if your student is doing this at 7:30pm right after general meeting. You will learn what the dangers are, what the devices look like and will have an opportunity to ask your questions about Vaping, Waxing and any other drugs and devices you may be concerned about. Vaping and Waxing appear to be crossing all of our demographics. This talk will be given by our Assistant Principal, Jeff Arnett. Join Us! This will be a meeting you don’t want to miss. 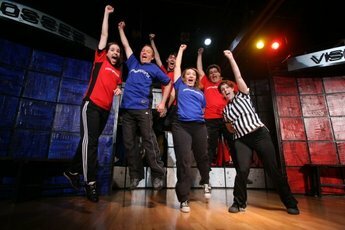 Join us for a family fun night watching Comedy Sportz in the Prospect PAC. Get Tickets & Details here! Posted on December 18, 2018 by Cathie Watson-Short | Comments Off on Prospect Operation Holiday Elves! 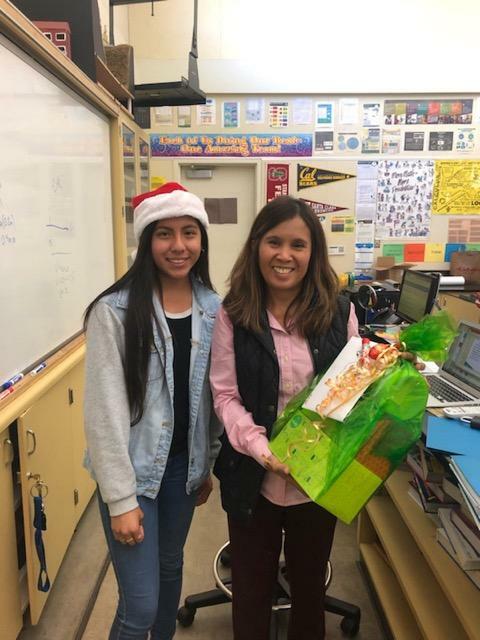 See what happened today when our students delivered our gifts to our teachers and staff! Watch here! Comments Off on Prospect Operation Holiday Elves! Let’s Thank Our Teachers and Staff! Posted on December 7, 2018 by Cathie Watson-Short | Comments Off on Let’s Thank Our Teachers and Staff! Imagine spending 7 hours a day with 1500 teens? Let’s show them the LOVE! 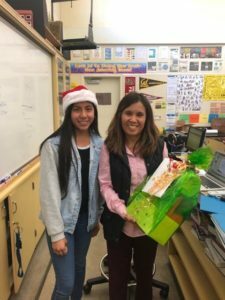 The PTSA elves have organized a thoughtful, easy way to thank our teachers and staff for the holidays. To participate click here! To volunteer click here! Comments Off on Let’s Thank Our Teachers and Staff! Posted on December 7, 2018 by Cathie Watson-Short | Comments Off on Missed Parent Math Night? Comments Off on Missed Parent Math Night? Comments Off on PTSA & CPM Parent Math Night DATE CHANGE! Join us for our Open House this Saturday, November 3rd from 1-4pm. Join us for a Social and Support a Safe Grad Night! Posted on October 25, 2018 by Cathie Watson-Short | Comments Off on Join us for a Social and Support a Safe Grad Night! The Prospect Grad Night Committee has organized an amazing night out with your friends to support a Safe Grad Night for our seniors. Join us, bring your friends and enjoy a delightful evening with Prospect parents and supporters of our student Panthers. RSVP Here! Comments Off on Join us for a Social and Support a Safe Grad Night! Tyler Durman Speaker – Oct 10th, 7pm PHS Gym! Posted on September 30, 2018 by Cathie Watson-Short | Comments Off on Tyler Durman Speaker – Oct 10th, 7pm PHS Gym! Want a Better Relationship with your Teen? Us too! That is why the Prospect PTSA is bringing renowned Teen Expert and Speaker, Tyler Durman, to the Prospect gym for all of our parents. Learn what they want us to know most about them and how to best communicate and parent them through these exciting years. Our teens will have spent an hour with Tyler Durman earlier that day. Join us in the Prospect Gym for an unforgettable night! Reserve your Spot and/or just show up! RSVP here for this amazing event or learn more here! Comments Off on Tyler Durman Speaker – Oct 10th, 7pm PHS Gym!